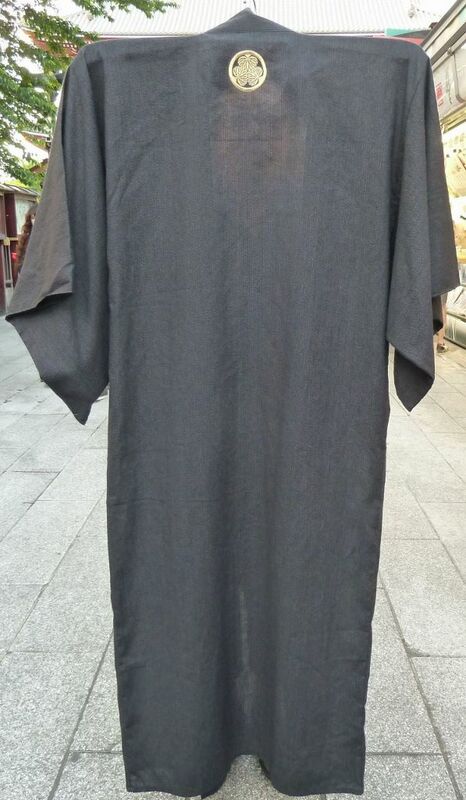 "YUKATA" (Cotton long robe ) is very traditional style in Japan. This style is very popular and loved regardless of age widely by many people because it's very comfortable. It promises your comfortable sleep !! "MITSUBA-AOI （三つ葉葵）" (three leaves of hollyhock) ... 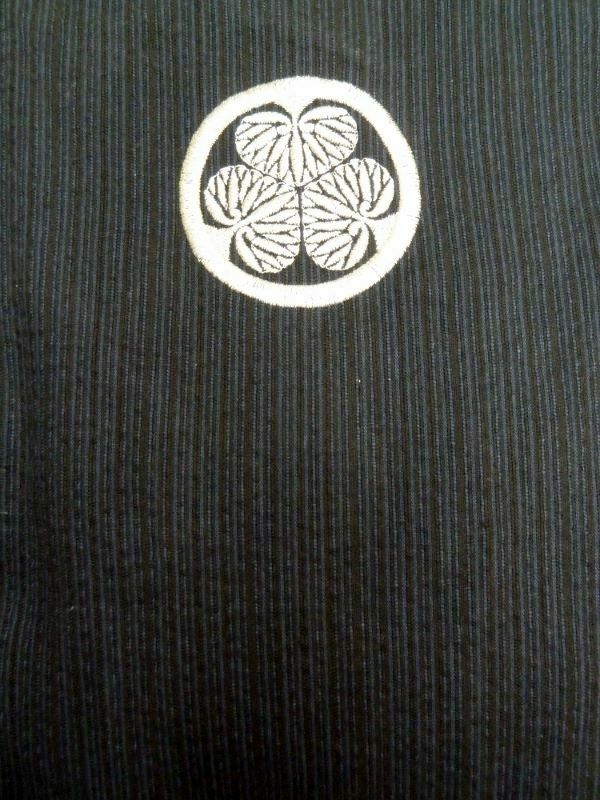 It's a family crest of "SHOGUN" （将軍）, the "TOKUGAWA CLAN". "TOKUGAWA IEYASU （徳川家康）" is a very fomous "SHOGUN（将軍）" (GENERAL) who founded the "Tokugawa shogunate" and built the "Edo Period". The Edo period had been continued during 265 years, and Japan had been ruled by the "Tokugawa clan". 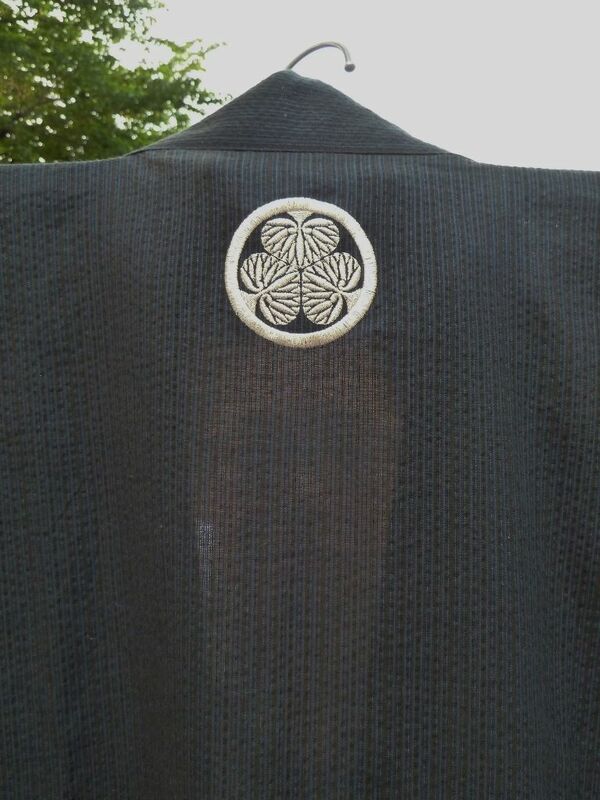 The embroidery of "SAMURAI" emblem is on the back side. There is no emblem on the front side. 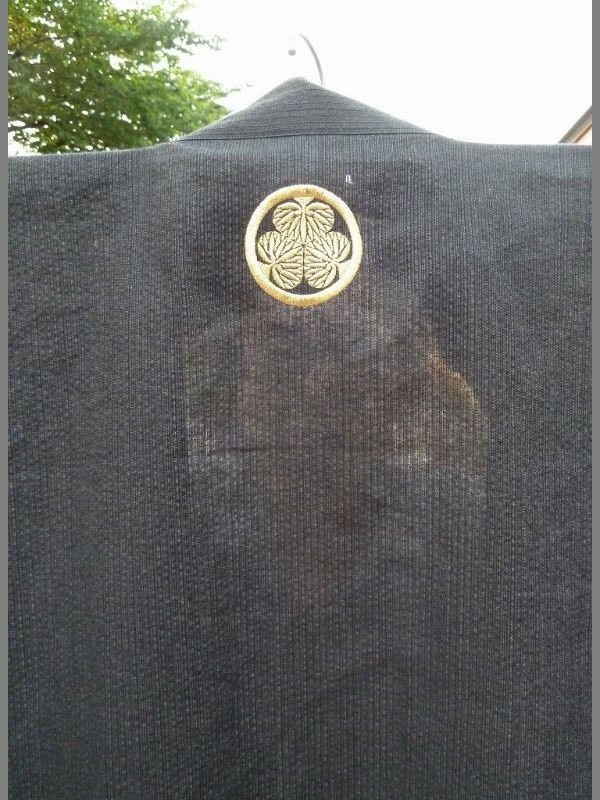 The gold emblem is on the "YUKATA" of charcoal gray color, the silver emblem is on the "YUKATA" of black color with blue lines. It's 100% cotton wicks away moisture. With the same fabric sash belt attached in the bottom of the sleeve. Wash separately. Machine wash cold or warm gentle cycle. Do not bleach. Do not dry clean. Keep away from fire. Designed and made in Japan. SIZE:L Length 58" Height 5'5"- 5'9"